Have you missed me? I have certainly missed all of you. It's been a crazy month, but hopefully everything is back to normal (whatever "normal" is) and I'll be posting cards and tutorials once again. 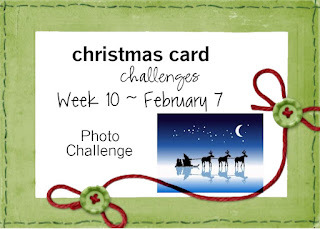 I wasn't sure what to do for the Challenge this week at Christmas Card Challenges. It's a Photo Challenge and it really had me stumped until I happened upon a stamp that I bought last year but never inked up. Am I the only one that forgets what they have in their stash? At first, I was going to sponge white cardstock with various shades of blue. Then it hit me ... use blue cardstock and sponge the stars with my White Craft Ink (Stampin' Up) and add bit of sponging to the center. I didn't have Santa and his sleigh, but since this was a Christmas stamp (I blocked the Merry Christmas sentiment on the stamp), I think it works. The white in the middle looks like the horses are kicking up a whole lot of snow. Not that I remember snow since I've been in sunny, warm Florida for the past 15+ years. Somehow, I don't think snow can be "kicked up" but it's my story so I'm going with it. I created the crescent moon by punching a 3/4" circle and taping it to the punched hole just a bit off to the side. I sponged the moon using Craft White and Daffodil Delight to give it a bit of yellow shimmer. I added a touch of Wink of Stella to all the stars for some sparkle. After all, stars do twinkle. The inside is finished with white cardstock matted onto black and the "Merry Christmas to All" sentiment from the stamp. Stop by The Christmas Card Challenges Blog to see what great cards the other Design Team members created this week. Then, grab your supplies and join along. We love to see your creations. Great take on the challenge, and so creative to stamp with the white on blue!Awesome card! Thank you. It feels so good to get back into card making again. Thank you so much. I was surprised at how this came together; especially since I hadn't been crafting for almost a month. 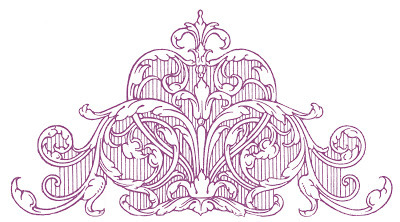 I ink had it fabulous perfect fit for the challenge.